Google has published a list of all known Chrome OS devices, detailing which are currently vulnerable to Meltdown, and which require patching. The good news is most Chromebooks are either already safe from attack or have a fix on the way. However, a handful of devices are at risk. Meltdown and Spectre Meltdown and Spectre Leave Every CPU Vulnerable to Attack Meltdown and Spectre Leave Every CPU Vulnerable to Attack A huge security flaw with Intel CPUs has been uncovered. Meltdown and Spectre are two new vulnerabilities that affect the CPU. You ARE affected. What can you do about it? Read More are two new CPU exploits that have emerged recently. Tech companies are scrambling to release patches fixing these issues, but these updates could affect performance on Windows PCs Revealed: How Spectre Updates Will Affect Your PC Revealed: How Spectre Updates Will Affect Your PC We assume you're fully aware of Meltdown and Spectre by now. Which means it's time to find out exactly how the Windows updates Microsoft has released will affect your PC... Read More . And before you Chrome OS users start acting smug, Chromebooks are affected too. Unlike most vulnerabilities which only affect certain systems, Meltdown and Spectre are affecting almost everyone. And that includes Chrome OS users who are usually shielded from bugs which regularly hit Windows and macOS. 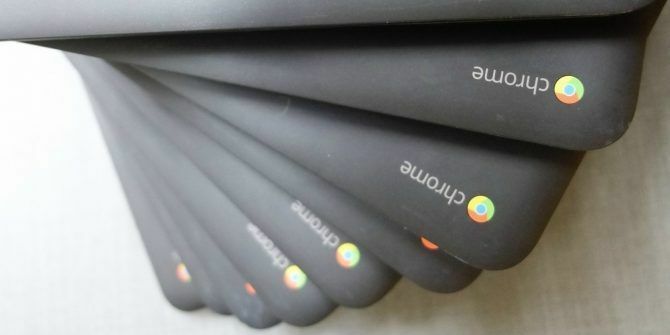 Thankfully, the vast majority of Chromebooks are OK.
We know thanks to this list of Chrome OS devices Google has published on the Chromium wiki. It reveals which version of the Linux kernel each Chrome OS device is running, whether they’re vulnerable to Meltdown, and, if so, whether a fix is being rolled out. When you’re done with your Chromebook, SIGN OUT OF IT. It only takes TWO CLICKS. There are five Chromebooks listed as EoL (End of Life), meaning they won’t receive a Meltdown patch. These are the Samsung Chromebook Series 5 and Series 5 550, the Cr-48, the Acer C7 Chromebook, and the Acer AC700. All other Chrome OS devices are listed as safe or soon-to-be safe. Google deserves credit for publishing this list. And with the exception of the five Chromebooks no longer supported because of old age, it’s all rather good news. Either your Chromebook is already safeguarded against Meltdown, or it’s scheduled to be made safe How to Make Your Chromebook More Secure in 7 Easy Steps How to Make Your Chromebook More Secure in 7 Easy Steps You can easily claim Chromebooks are the most secure laptops on the market. However, that doesn't mean you can't improve their security. Here are four ways to make your Chromebook even more secure. Read More in the not-too-distant future. Do you own a Chromebook? If so, is your make and model safe from Meltdown? Or are you one of the unlucky ones still using a device listed as EoL? If so, are you going to carry on as normal? Or is this reason enough to buy a new Chromebook? Please let us know in the comments below! Explore more about: Chromebook, Computer Processor, CPU, Google. Not Chromrbooks end Of Life, Google is they now run Linux. We will never buy Google crappy hardware again.